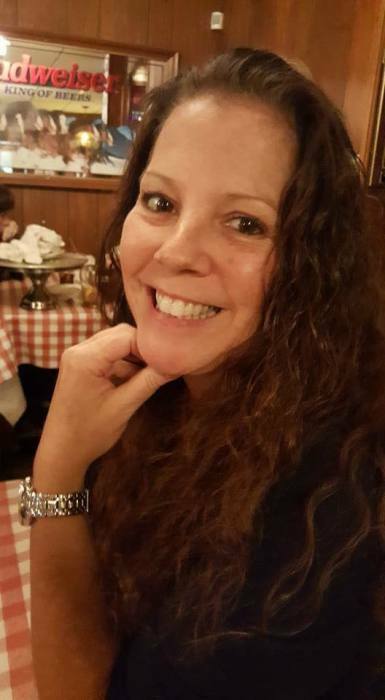 Donna Marie Schnell, 54, passed away unexpectedly on Saturday April 6, 2019 in Myrtle Beach, South Carolina. She was born on October 26, 1964 in New Jersey. Donna is reunited in death with her mother and father, Barbara and Lawrence Dorsey; Siblings, Michael Dorsey; Linda Hartman & Scott Dorsey. Donna was proudly born and raised in New Jersey. In the summer of 2018, Donna and her husband made the move to South Carolina. Her love of Murrells Inlet, the Marsh Walk, and beautiful weather led them to reside in beautiful Myrtle Beach. Donna was a registered nurse who loved to care for others. That passion granted her the honor of assisting those in need at Grand Strand Regional Medical Center in Myrtle Beach. She was also a past volunteer with West Milford EMS in NJ. She was passionate about animals and loved her dogs. In her free time, Donna loved the wind in her hair, doing home improvements, gardening, and spending time with her family. She will be truly missed. Left to cherish Donna’s memory are her beloved husband, David Schnell of Myrtle Beach, SC; Daughter, Jaimie Frasche of Prospect Park, NJ; Son, Devin Frasche and his wife, Melissa Fedor of Bloomingdale, NJ; Step-son, Jeremiah Schnell of Hawthorne, NJ; & one grandbaby on the way! Donna also leaves her sister, Diane Espel and her late husband, Marty, of Troutman, NC; Brother, Jeff Dorsey of Ridgewood, NJ; As well as several nieces and nephews; A large, loving, extended family; And many supportive friends and neighbors both locally, and in New Jersey. A Celebration of Donna’s life will be held privately in New Jersey. At the request of the family, memorial contributions in Donna’s name may be made in lieu of flowers to The Humane Society. To view these details online or to offer words of comfort through the online guest book, kindly visit the funeral home website at, www.burroughsfh.com Burroughs Funeral Home & Cremation Services of Murrells Inlet, SC (843.651.1440) is honored to be assisting the family during this difficult time.